As Gaza is devastated by a new paroxysm of violence, what has Israel achieved by its 26-day bombardment and ground intervention? The outcome so far is similar to that of past Israeli wars in Lebanon and Gaza: massive firepower is used to inflict heavy losses on the other side, the great majority of the casualties being civilians. But, as the war goes on, Israeli leaders find that Israel’s military superiority is failing to produce comparable political gains. Worse, from the Israeli point of view, it is the Palestinians and, in this case, Hamas, who are in a stronger position than they were a month ago. By its actions, Israel has put the Palestinian issue firmly back on the international agenda from which it had largely disappeared since the Arab uprisings of 2011. Only a few months ago, a friend sympathetic to the Palestinians lamented to me that, in his travels in the US, Europe and the Arab world, he had seldom heard the words “Palestine” or “Palestinians”. Gaza, at horrendous cost to its people, has changed all that. Usually, the sufferings of the four million Palestinians penned into Gaza and the West Bank are invisible to people in the rest of the world. But over the past month we have seen, night after night, pictures of Palestinian families, with their maimed and terrified children, vainly seeking safety amid shattered houses and hospitals. Israeli spokesmen sound shifty and heartless as they claim that there is no proof of Israel’s culpability for the shelling of a UN hospital or a children’s playground, suggesting that a Hamas rocket might have fallen short. These denials and evasions might work in a short war but, by the time 264 Palestinian children had been killed, as of Friday, they only serve to convince people that Israelis do not care how many Palestinians they kill. Of course, we have been here many times before, the most notorious Israeli intervention being the invasion of Lebanon in 1982. I was in the Sabra and Shatila camps just after the massacre of 1,700 Palestinians by Christian militiamen who would not have been there but for Israeli actions. When I see pictures of the dead in Gaza, I feel I can still smell the sickly sweet stench of the dead bodies as they began to rot in the hot September sun. I remember the poverty of the dead, with their ragged clothes and plastic shoes, as they lay in the doorways of tiny shops or heaped up in alleyways. Out in the open, a donkey was lying dead between the shafts of a small cart carrying a barrel of water, and corpses were half-buried in a bank of sand, as if somebody had wanted to conceal them but had given up half-way through because there were too many bodies to bury. Not everything is the same today in Gaza as it was in Lebanon in 1982 or in Gaza in 2008. A crucial difference is that, at those points, the countries neighbouring Israel were relatively stable, or at least had governments in firm control. Nothing could be less true this summer, as Syria and Iraq are convulsed by civil war, and Jordan and Lebanon look more and more unstable. Egypt has a leadership installed by a military coup and confirmed by a dubious election; the Libyan state has collapsed into anarchy, presided over by predatory militias. The Gaza war adds to the sense of general crisis. A reason for Israel launching these mini-conflicts, for there has not been an all-out war since the invasion of Lebanon, is to demonstrate its raw military power. But, each time round, it simultaneously shows the limitations of that power to get anywhere in ending Israel’s long confrontation with the Palestinians. For all the devastating firepower of Israel’s air force, tanks and artillery deployed against a few thousand Hamas gunmen, it is unlikely to permanently eliminate them and thus win a military victory. And, even if it did, the victory would not be conclusive since the Palestinian sense of oppression is so great that some other armed group, possibly in the shape of Isis (the self-tagged Islamic State), would soon take its place. When I was a correspondent in Jerusalem between 1995 and 1999, I came to believe that there was another reason, to do with the political psychology of Israelis, which explained why they fought these bloody but futile wars. This was put well by Uri Avnery, the Israeli writer and peace activist, who wrote that the Israeli army is filled with “teenagers who are indoctrinated from the age of three in the spirit of Jewish victimhood and superiority”. The same is true of much of the rest of Israeli society. Israelis genuinely feel they are the main victims deserving international sympathy, even when 1,400 Palestinians have been killed by Israeli shells and bombs compared with just three Israeli civilians and one Thai worker killed by Hamas’s rockets and mortars. Every opponent of Israel, however puny, is treated by Israeli governments and much of the Israeli media as representing an existential threat. Any retaliatory violence is therefore justified, whether the targets are Palestinians, Lebanese or the 10 Turks killed on board the flotilla of boats trying to bring aid to Gaza in 2010. 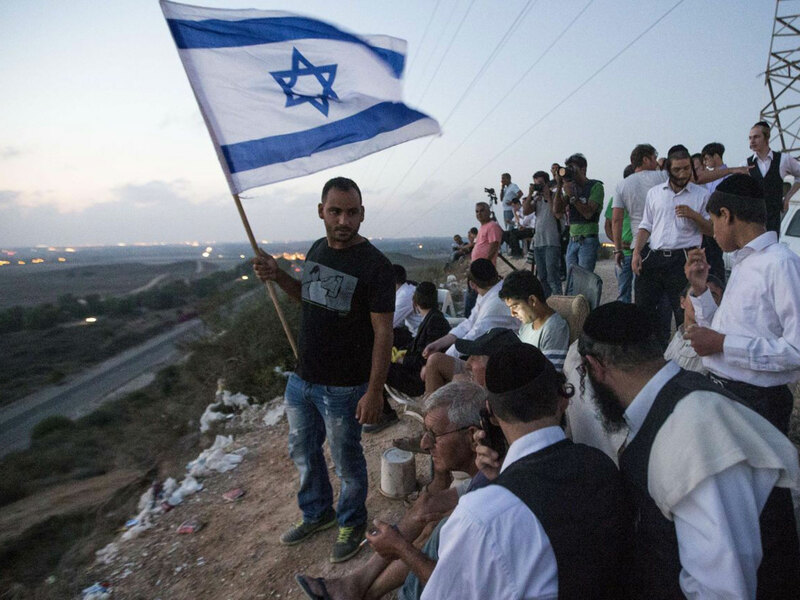 This sense of permanent persecution, born of pogroms and the Holocaust, is understandable but makes Israelis peculiarly vulnerable to demagogues manipulating their sense of threat. Israeli spokesmen have triumphantly pointed to polls showing that 90 per cent of Israelis currently support Operation Protective Edge in Gaza, but this lack of contrary opinion about a venture so unlikely to do Israel much good is, in reality, a sign of weakness in a nation. Paradoxically, deliberate threat inflation by the Israeli government redounds to the advantage of Hamas. Its military wing fires rockets into Israel to cause fear among the general population by killing or wounding people; its attacks are largely ineffectual because Israel has the Iron Dome defensive system that intercepts the rockets. But Israeli leaders then do Hamas’s work for it by telling their people that Hamas is a threat to their very existence. Prime Minister Benjamin Netanyahu speaks of the “tunnels of terror” as if they undermined every home in Israel. A story spread on the internet claims that thousands of Hamas fighters dressed in Israeli army uniforms had been planning to surge through the tunnels into Israel in a sort of underground D-Day landing.